Posted by admin on Nov 8th, 2018 and filed under News. You can follow any responses to this entry through the RSS 2.0. Both comments and pings are currently closed. A fresh leadership crisis is brewing in the All Progressives Grand Alliance (APGA) as some members of the Imo State Working Committee of the party met in Owerri on Tuesday and suspended the state Chairman of the party, Barr. Peter Ezeobi. Pastor Kenneth Onyenagorom, the APGA Assistant Publicity Secretary in the state, flanked by 7 other members of the Imo State Working Committee and hundreds of party stakeholder’s from 27 council areas, announced the suspension of Ezeobi at a news conference in Owerri, Imo State capital. Onyenagorom who also announced the appointment of Dr Augustine Nwosu, a medical Practitioner as the state chairman said members of the SWC had lost confidence in the party’s chairman. Reading the press statement of the SWC meeting, the APGA Assistant Publicity Secretary of the party in the State, said that the party had lost confidence in Ezeobi continued leadership of the APGA. He apologized to Ndi-Imo for the disappointment and regrettable charade Ezeobi and his cohorts have perpetrated to throw up Senator Ifeanyi Araraume as the fake governorship candidate and therefore appeal to the entire people to disassociate themselves from Ezeobi and Araraume fraud. He accused the suspended chairman of running party activities alone without the consent and approval of the party. “You have literally supported their being replaced by the ARC aspirants who have paid for the tickets. 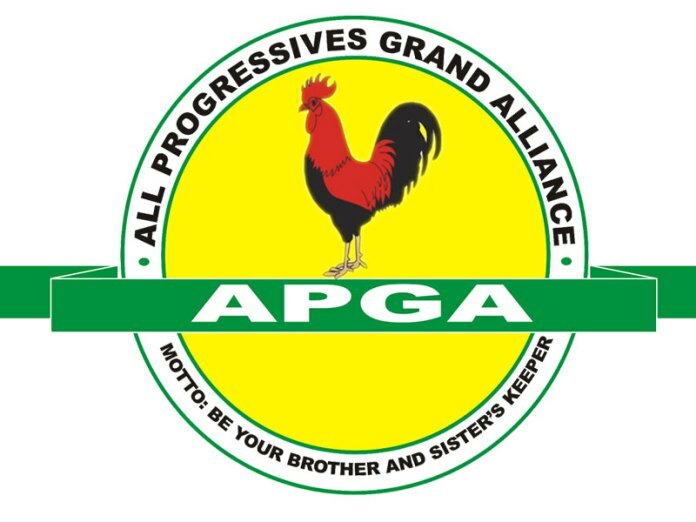 In his acceptance speech, Dr Nwosu promised to do his best to reposition the party, even as expressed regret that APGA as a political party failed Imo people. Also speaking, Chief Ike C Ibe, the consensus candidate of all APGA Aspirants, who spoke on behalf of the body of gubernatorial aspirants said they are in full support of the action taken by the SWC.